In their biennial report on the state of science understanding released in April 2002, the National Science Foundation found that 60 percent of adults in the United States agreed or strongly agreed that some people possess psychic powers or extrasensory perception (ESP). In June 2002, the Consumer Analysis Group conducted the most extensive survey ever done in the United Kingdom and revealed that 67 percent of adults believed in psychic powers. Report author Jan Walsh, commenting on the statistics that found that two out of three surveyed believed in an afterlife, said that as far as the British public was concerned, "the supernatural world isn't so paranormal after all." Michael Shermer, author of Why People Believe Weird Things (2002) and publisher of Skeptic magazine, was among those scientists who deplored the findings that such a high percentage of Americans accepted the reality of ESP. In Shermer's analysis, such statistics posed a serious problem for science educators. Complaining that people too readily accepted the claims of pseudoscience, Shermer concluded his column for Scientific American (August 12, 2002) by writing that "for those lacking a fundamental comprehension of how science works, the siren song of pseudoscience becomes too alluring to resist, no matter how smart you are." for the Advancement of Science. He became the founding president of the Parapsychological Association in 1957 and saw that group admitted to the American Association for the Advancement of Science in 1969. In McConnell's opinion the adamant denial of the existence of extrasensory perception by materialist scientists can best be explained by their fear of the consequences that might follow in the event of their acceptance. with his understanding of his philosophic commitment to his profession would encounter an emotional block." In September 2001 physicist Brian Josephson of Cambridge, England, winner of the Nobel Prize for physics in 1973, provoked an academic controversy when he declared that there was a great deal of evidence to support the existence of telepathy, but scientific journals censored such research and would not publish articles on the paranormal. Josephson expressed his belief that certain psychic-sensitives might have the ability to direct random energy at subatomic levels and that developments in quantum physics "may lead to an explanation of processes such as telepathy still not understood within conventional science." Serious-minded scientists have been researching ESP since the mid-nineteenth century. It was Max Dessoir (1867–1947) who first coined the term "parapsychology" in an article he wrote for the German periodical Sphinx in 1889. Although he would later become a distinguished professor of philosophy, Dessoir was a student when he defined "parapsychologie" (in German) as something that went beyond the ordinary, as phenomena that was outside of the usual processes of the inner life. The study of this unknown area between ordinary and pathological states, this "paraphysical" phenomena, he suggested, should be called parapsychology. William James (1842–1910), the foremost American psychologist of the nineteenth century, explored the nonphysical realm of psychic phenomena and mysticism in his classic work The Varieties of Religious Experience (1902). Sir William Barrett (1844–1925), professor of physics and fellow of the Royal Society of London, became convinced of the reality of telepathy and was one of the founders of the British Society for Psychical Research in 1882. Frederic Myers (1843–1901), a classical lecturer at Cambridge, wrote Human Personality and Its Survival of Bodily Death, which was published posthumously in 1903. Psychologist William McDougall (1871– 1938), fellow of the Royal Society, provided sponsorship to Drs. J. B. (1895–1980) and Louisa E. (1891–1983) Rhine, which allowed them to conduct parapsychological research at Duke University, Durham, North Carolina, in 1927. Gardner Murphy (1895–1979), an American psychologist, championed the early ESP experiments at Duke University and served as the editor of the Journal of Parapsychology for two years. L. L. Vasiliev (1891–1966), professor of Physiology at the Institute of Brain Research in the University of Leningrad, holder of the Order of Lenin, carried out experiments in ESP from 1921 to 1938, focusing on the theory that ESP was a form of electromagnetic radiation. By 1930, Drs. J. 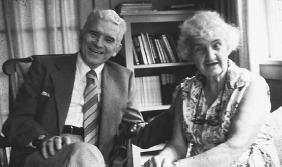 B. and Louisa Rhine expanded their investigations of ESP beyond college courses at Duke University and established the first scientific laboratory dedicated to research of psychic phenomena. It was Rhine who first coined the term "extrasensory perception" (ESP) to describe the ability of some individuals to acquire information without the apparent use of the five known senses. He also applied the term "parapsychology" to distinguish research in psychic phenomena from the pursuits of mainstream psychology. Considered by many to be the "Father of Modern Parapsychology," Rhine first collaborated with Professor McDougall, chairman of the Department of Psychology at Duke University, on a series of experiments in the area of extrasensory perception. Most of these tests involved the use of Zener cards, a specially designed deck of 25 cards that include five cards each of five symbols—a cross, star, wavy lines, circle, and square. The Rhines enlisted hundreds of volunteer subjects to guess the symbols of the cards or to determine the number of dots in rolled dice. Louisa Rhine became a leading parapsychologist as a result of her own studies in spontaneous psychic phenomena, exploring such areas of ESP as clairvoyance, precognition, and telepathy. Louisa Weckesser and Joseph Rhine had been teenaged friends who married in 1920. Although they had both earned doctorates in botany from the University of Chicago and had embarked on promising careers in the field, a lecture by Sir Arthur Conan Doyle (1859–1930) on his research into psychic phenomena changed their lives. The young couple were so inspired by the prospect of conducting serious investigations into the world of mediumship and the afterlife, that they made the decision to abandon botany for psychical research. Some of their early experiences sitting with spirit mediums were discouraging, for the Rhines felt that they caught the individuals employing trickery to delude others into accepting their abilities to contact the realm of spirit. In their opinion, psychical research would best be examined in the laboratory under controlled conditions. Learning of Dr. William McDougall's interest in the paranormal, the Rhines contacted him at Duke University, and Professor McDougall invited them to join him at Durham. to Rhine's New Frontiers of the Mind (1937), which became a Book-of-the-Month Club selection. Within a short time after achieving such a level of celebrity, Rhine had a prime-time radio program and was focusing attention on the work in psychical research that was being conducted at Duke. Such attention did little to earn the approval of many of the professors in the material sciences at the university, who were dismayed that Duke was becoming known as a center for pseudoscience and weird research projects. After decades of conducting controlled experiments in ESP, the Rhines offered their conclusion that such psychic abilities as telepathy, clairvoyance, precognition, and psychokinesis did exist. Many scientists were unimpressed by the Rhines' accumulated research and questioned the validity of their statistical analyses. In the summer of 1957, J. B. Rhine suggested that parapsychologists form an international professional society in parapsychology, and on June 19, 1957, the Parapsychological Association was founded with R. A. McConnell, president; Dr. Gertrude R. Schmeidler, vice president; and Rhea White, secretary-treasurer. 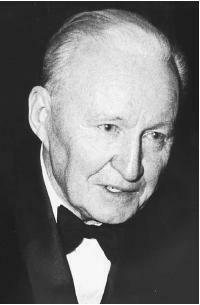 For six years during the 1950s, Dr. Karlis Osis (1917–1997) worked with J. B. Rhine at the parapsychology laboratory at Duke University. Born in Latvia, Osis received his doctorate in psychology from the University of Munich in 1950. His dissertation topic, "A Hypothesis of Extrasensory Perception," reflected an interest in the field of parapsychology prompted by an experience as a teenager in which he had undergone a mystical encounter with a mysterious light source that had filled him with sublime joy. Osis had a long and distinctive career in parapsychology, and he worked in such areas as animal ESP, distance effects on extrasensory perception, psychokinesis, out-of-body experiences, and life after death. In the 1960s, Osis did a pilot study of deathbed visions for the American Society for Psychical Research, which was later verified across several different cultures. Osis was a past president of the Parapsychological Association, director of research for the Parapsychology Foundation from 1957 to 1962, and the author of more than 70 scientific articles. In 1962 the Rhines dissociated their research with Duke and established the Foundation for Research on the Nature of Man. Although the foundation remained in Durham, J. B. Rhine felt that their controversial work required the scientific freedom of becoming a privately funded, independent research organization. In 1964 experimental methods for studying ESP during dreams was pioneered under the directorship of Dr. Montague Ullman and Dr. Stanley Krippner (1932– ) at the Dream Lab at the Maimonides Medical Center in New York. Krippner received a doctorate in Educational Psychology from Northwestern University, and he has done pioneering work in the scientific investigation of human consciousness, especially such areas as the relationship of creativity to parapsychological phenomena and altered states of consciousness. 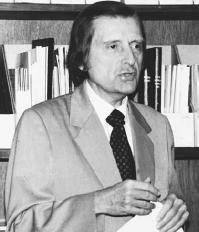 Extremely prolific and diverse in his interests in investigating the mysteries of psychic phenomena, Krippner has written more than 500 articles and many books, such as Human Possibilities (1980), Dream Telepathy (with Montague Ullman and Alan Vaughan; 1989), and Healing States (with Alberto Villoldo; 1986). In the 1970s, Dr. Russell Targ and Dr. Harold Puthoff conducted some of the best-known experiments on the connections between ESP "senders" located at a distance from the "receivers" of the psychic communication. The designated receiver was placed in a sealed, opaque and electrically shielded chamber, while the scientists would situate the sender in another room where he or she was subjected to bright flashes of light at regular intervals. Each of the experimental subjects was connected to an electroencephalograph (EEG) machine that registered their brain-wave patterns. After a brief period of time, the receiver began to produce the same rhythmic pattern of brain waves as the sender, who was exposed to the flashing light. Targ and Puthoff also carried out experiments in what came to be known as "remote viewing," in which sender and receiver were separated by distances that eliminated any possibility of any form of ordinary sensory communication between them. Dr. Charles T. Tart (1937– ) studied electrical engineering at the Massachusetts Institute of Technology before deciding to become a psychologist. He received his doctorate in psychology from the University of North Carolina in Chapel Hill in 1963 and while a member of the faculty at the University of California at Davis for 28 years became internationally known for his research on the nature of consciousness, particularly altered states. Tart is one of the founders of the field of transpersonal psychology and has authored such classic books as Altered States of Consciousness (1969), Transpersonal Psychologies (1975), and Learning to Use Extrasensory Perception (1976). Tart considers his primary goals as being able to build a bridge between the scientific and the spiritual communities and to help accomplish an integration of Western and Eastern approaches for knowing the world. In 1995, in honor of the 100th anniversary of J. B. Rhine's birth, the Foundation for Research on the Nature of Man was renamed the Rhine Research Center. On June 8, 2002, the Rhines' daughter, Sally Feather, welcomed well-wishers to the Rhine Research Center when it officially opened its first new building. Feather had worked with her parents at the facility at Duke and later at their ESP laboratory when they left the university in 1964. The new building, said to be the most advanced parapsychological facility in the United States, was declared by Feather as "the culmination of a dream that my parents had, but it's my dream now." ESP research remains a source of constant controversy between parapsychologists and their colleagues in the material sciences. Dr. Robert Morris, director of the Koestler Parapsychology Unit at the University of Edinburgh, Scotland, told New Scientist magazine (March 3, 2001) that he recognized the skeptics' mocking accusation that ESP stood for "Error Some Place" and he understood that parapsychology needed two things to satisfy the critics: "One, effects of sufficient strength and consistency, so you know something is going on that isn't readily understood by other means…[Two]…coming up with a mechanism. One big question is whether we are talking simply about one mechanism or three or four." Morris stated that he is convinced that ESP is presently "above and beyond what present-day science could account for," but he remains confident that future scientists will one day figure it out. Auerbach, Loyd. "A Farewell to Dr. Karlis Osis." Fate, April 1, 1998. [Online] http://www.llewellyn.com/archive/fate/62. "Belief in Supernatural Is 'Bigger Than Jesus,' Says New Report." PR Newswire on Behalf of Living TV, June 10, 2002. [Online] http://www.prenewswire.co.uk/cgi/release?id=86400. Krippner, Stanley. Dreamtime and Dreamwork: Decoding the Language of the Night. Los Angeles: Jeremy P. Tarcher, 1990. Krippner, Stanley, Fariba Bogzaran, and Andre Percia De Carvalho. Extraordinary Dreams and How to Work with Them. Albany, N.Y.: State University of New York Press, 2002. Krippner, Stanley, with Etzel Cardena, and Steven J. Lynn. Varieties of Anomalous Experience: Examining the Scientific Evidence. Washington, D.C.: American Psychological Association, 2000. McConnell, R. A. Joyride to Infinity: A Scientific Study of the Doomsday Literature. Washington, D.C.: Scott-Townsend, 2000. McKie, Robin, ed. "Nobel Guru in Telepathy Row." The Observer, September 30, 2001. [Online] http://www.observer.co.uk/uk_news/story/0,6903,560604,00.html. Radin, Dean I. The Conscious Universe: The Scientific Truth of Psychic Phenomena. San Francisco: HarperEdge, 1997. Rhine, J. B. New Frontiers of the Mind. New York: Farrar & Rinehart, 1937. Rhine, J. B., and J. G. Pratt. Parapsychology: Frontier Science of the Mind. Springfield, Ill.: Charles Thomas, 1957. Schwarz, Berthold E. A Psychiatrist Looks at ESP. New York: New American Library, 1968. Shermer, Michael. "Smart People Believe Weird Things." Scientific American,August 12, 2002. [Online] http://www.sciam.com/print_version.cfm?articleID=002F4E6-8CF7-ID49-90FB809EC5. "Survey Finds Few in U.S. Understand Science." CNN.com, April 30, 2002. [Online] http://cnn.technology.printthis.clickability.com/pt/printThis?clickMap=printThis&fb=Y&u. "Tales of the Paranormal." New Scientist, March 3, 2001. [Online] http://www.newscientist.com/opinion/opinion.jsp?id=ns22805. Tart, Charles T. Body Mind Spirit: Exploring the Parapsychology of Spirituality. Charlottesville, Va.: Hampton Roads, 1997. Wise, Jim, and Julian Pecquet. "Rhine Research Center Opens Building." The Herald Sun, June 8, 2002. [Online] http://www.herald-sun.com/tools/printfriendly.cfm?StoryID=235501. Grof, Stanislav. Realms of the Human Unconscious: Observations from LSD Research. London: Souvenir Press, Ltd., 1995. Ostrander, Sheila, and Lynn Schroeder. Psychic Discoveries Behind the Iron Curtain. Englewood Cliffs, N.J.: Prentice-Hall, 1970. Reprint, Park Street Press, 2000. Spraggett, Allen. The Unexplained. New York: New American Library, 1968. Stevens, Jay. Storming Heaven: Lsd and the American Dream. New York: Grove Press, 1988. Cannon, Alexander. Sleeping Through Space. Woodthorpe, Nottingham, England: Walcott Publishing, 1938. Crookall, Robert. More Astral Projections. London: Aquarian Press, 1964. Hart, Hornell. The Engima of Survival. Springfield, Ill.: Charles C. Thomas, Publishers, 1960. Muldoon, Sylvan. The Case for Astral Projection. Wehman, 1969. Muldoon, Sylvan, and Hereward Carrington. The Phenomena of Astral Projection. London and New York: Rider, 1951. Ostrander, Sheila, and Lynn Schroeder. Psychic Dis coveries Behind the Iron Curtain. Englewood Cliffs, N.J.: Prentice-Hall, 1970. Tart, Charles T. Body Mind Spirit: Exploring the Para psychology of Spirituality. Charlottesville, Va.: Hampton Roads, 1997. Dunne, J. W. An Experiment with Time. New York: Macmillan, 1938. Rhine, J. B. New World of the Mind. New York: William Sloane Associates, 1953. Saltmarsh, H. F. Foreknowledge. London: G. Bell & Sons, 1938. Steiger, Brad. The Psychic Feats of Olof Jonsson. Engle wood Cliffs, N.J.: Prentice-Hall, 1971. Targ, Russell, and Harold E. Puthoff. Mind-Reach: Sci entists Look at Psychic Ability. New York: Delacorte Press/Eleanor Friede, 1977. Garrett, Eileen J. Telepathy. New York: Berkley Medallion Books, 1968. Krippner, Stanley. Human Possibilities: Mind Research in the USSR and Eastern Europe. Garden City, N.Y.: Anchor Books, 1980. Krippner, Stanley, with Montague Ullman and Alan Vaughan. Dream Telepathy: Experiments in Noctur nal ESP. Jefferson, N.C.: McFarland Publishers, 1989. Sinclair, Upton. Mental Radio. New York: Macmillan, 1971. Soal, S. G., and F. Bateman. Modern Experiments in Telepathy. London: Faber and Faber, 1954. Soal, S. G., and H. T. Bowden. The Mind Readers: Recent Experiments in Telepathy. New Haven, Conn.: Yale University Press, 1954. Targ, Russell, and Harold E. Puthoff. Mind-Reach: Sci entists Look at Psychic Ability. New York: Dela corte Press/Eleanor Friede, 1977.